The predominantly mountainous region comprising the present day Himachal Pradesh has been inhabited since pre-historic times having witnessed multiple waves of migration from other areas. Through its history, the region was mostly ruled by local kingdoms some of which accepted suzerainty of larger empires. 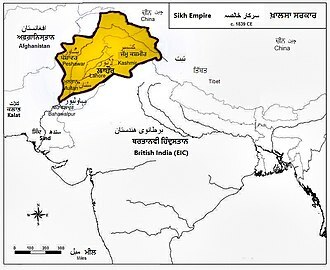 Prior to India's independence from the British, Himachal comprised the hilly regions of Punjab Province of British India. After independence, many of the hilly territories were organized as the Chief Commissioner's province of Himachal Pradesh which later became a union territory. In 1966, hilly areas of neighboring Punjab state were merged into Himachal and it was ultimately granted full statehood in 1972. ^ a b c d e f g h i j k l m n o p "History of Himachal Pradesh". National informatics center, Himachal Pradesh. Archived from the original on 2006-11-21. Retrieved 31 March 2008. ^ Himachal Pradesh Forest Department. "The Forests". National Informatics Center, Himachal Pradesh. Archived from the original on 2013-05-10. Retrieved 3 April 2008. ^ "Who is Jairam Thakur – front runner for Himachal Pradesh CM post after Prem Kumar Dhumal's shock defeat". The Financial Express. 2017-12-19. Retrieved 2017-12-23. ^ a b c d "Economic Survey projects Himachal Pradesh's growth rate at 7.7% - Times of India". Retrieved 2016-09-02. ^ a b "Emerging energy scenario in Western Himalayan state of Himachal Pradesh". Energy Policy. 38 (5): 2545–2551. 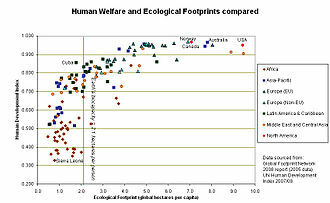 2010-05-01. doi:10.1016/j.enpol.2010.01.002. ISSN 0301-4215. ^ a b "Himachal Pradesh: Infrastructure". Public Private Partnerships in India. Ministry of Finance, Government of India. Archived from the original on 2010-02-07. Retrieved 6 April 2008. ^ "The people and tribes". www.123himachal.com. Retrieved 2007-05-20. ^ a b "Culture of Himachal Pradesh". Indialine (2007). Retrieved 2007-05-03. ^ "Local and Traditional Himachali Foods and Dishes". Himachal Wonders. Retrieved 2016-11-20. ^ "Factual source on Education in Himachal". Government of India. Archived from the original on 2007-04-30. Retrieved 16 March 2007. ^ a b "Educational Profile of Himachal Pradesh". General Overview of Education in Himachal. Archived from the original on 2008-02-02. Retrieved 16 March 2007. ^ a b "Himachal Sarva Shiksha Abhiyan & Rashtriya Madhyamik Shiksha Abhiyan". 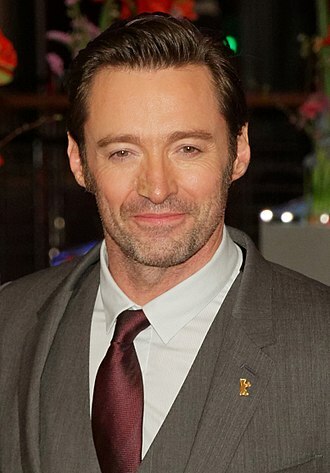 www.edumis.hp.gov.in. Retrieved 2018-04-26. ^ "Himachal At A Glance". Himachalpr.gov.in. Archived from the original on 2013-08-16. Retrieved 15 June 2011. Shri Bhima Kali Temple is a temple at Sarahan in Himachal Pradesh in India, dedicated to the mother goddess Bhimakali, presiding deity of the rulers of former Bushahr State. The temple is situated about 180 km from Shimla and is one of 51 Shakti Peethass, the town Sarahan is known as the gate way of Kinnaur. Down below at a distance of 7 km from Sarahan is the River Satluj, Sarahan is identified with the Sonitpur mentioned in Puranas. According to a legend, the manifestation of the goddess is reported to the Daksha-Yajna incident when the ear of the Sati fell at this place, presently in the form of a virgin the icon of this eternal goddess is consecrated at the top storey of the new building. Below that storey the goddess as Parvati, the daughter of Himalaya is enshrined as a consort of Lord Siva. The temple complex has three temples dedicated to Lord Raghunathji and Patal Bhairva Ji - the guardian deity. Sarahan was the capital of rulers of former Bushahr State, Bushahr dynasty earlier used to control the state from Kamroo. Jammu and Kashmir is a state in northern India, often denoted by the acronym J&K. 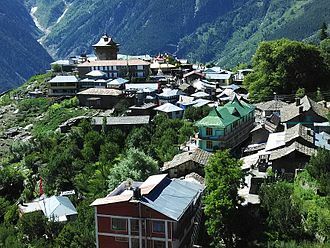 It is located mostly in the Himalayan mountains, and shares borders with the states of Himachal Pradesh, the state has special autonomy under Article 370 of the Constitution of India. A part of the erstwhile Princely State of Kashmir and Jammu, the western districts of the former princely state known as Azad Kashmir and the northern territories known as Gilgit-Baltistan have been under Pakistani control since 1947. The Aksai Chin region in the east, bordering Tibet, has been under Chinese control since 1962, Jammu and Kashmir consists of three regions, the Kashmir Valley and Ladakh. Srinagar is the capital, and Jammu is the winter capital. Jammu and Kashmir is the state in India with a Muslim-majority population. The Kashmir valley is famous for its mountainous landscape. Ladakh, known as Little Tibet, is renowned for its remote mountain beauty, Maharaja Hari Singh became the ruler of the princely state of Jammu and Kashmir in 1925, and he was the reigning monarch at the conclusion of the British rule in the subcontinent in 1947. Jammu and Kashmir had a Muslim majority, following the logic of Partition, many people in Pakistan expected that Kashmir would join Pakistan. 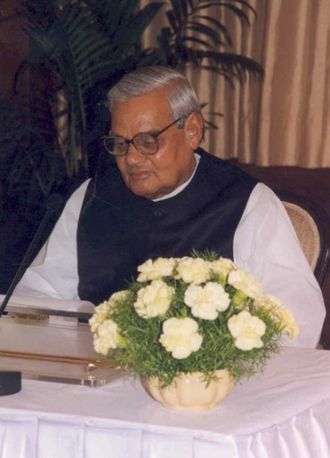 However, the predominant political movement in the Valley of Kashmir was secular, so many in India too had expectations that Kashmir would join India. The Maharaja was faced with indecision, on 22 October 1947, rebellious citizens from the western districts of the State and Pushtoon tribesmen from the Northwest Frontier Province of Pakistan invaded the State, backed by Pakistan. 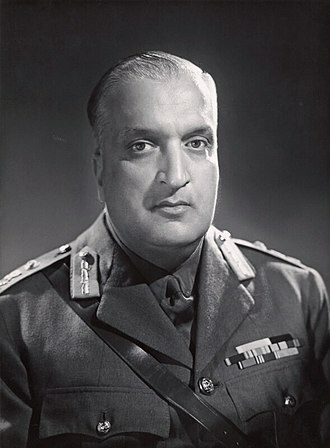 The Maharaja initially fought back but appealed for assistance to the India, Maharaja Hari Singh signed the Instrument of Accession on 26 October 1947 in return for military aid and assistance, which was accepted by the Governor General the next day. Once the Instrument of Accession was signed, Indian soldiers entered Kashmir with orders to evict the raiders, the resulting Indo-Pakistani War of 1947 lasted till the end of 1948. 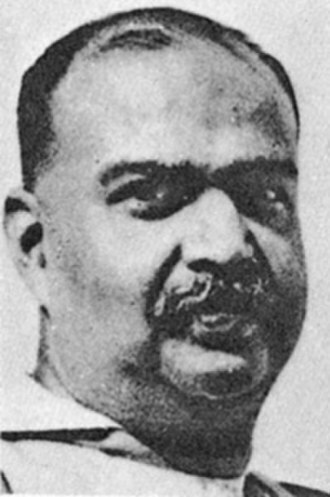 At the beginning of 1948, India took the matter to the United Nations Security Council, a ceasefire was agreed on 1 January 1949, supervised by UN observers. Kangra is the most populous district of the Indian state of Himachal Pradesh, India. Dharamshala is the headquarters of the district. It is home of Masroor Rock Cut Temple, known as Himalayan Pyramids, Kangra is known for having the oldest serving Royal Dynasty in the world Katoch. Kangra became a district of British India in 1846, when it was ceded to British India at the conclusion of the First Anglo-Sikh War, the British district included the present-day districts of Kangra, Hamirpur and Lahul and Spiti. Kangra District was part of the British province of Punjab, the administrative headquarters of the district were initially at Kangra, but were moved to Dharamshala in 1855. The Kangra District of Himachal Pradesh is situated in the Western Himalayas between 31°2 to 32°5 N and 75° to 77°45 E, the district has a geographical area of 5,739 km. which constitutes 10. 31% of the geographical area of the State. The district has considerable diversity in its soils, land use patterns, on the basis of these, the district has further been divided into five sub-regions i. e.
Pir Panjal, Kangra Shiwalik, Kangra Valley and Beas Basin. The Beas is one of the rivers of this district. 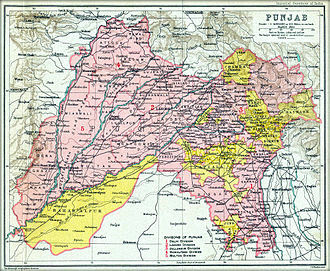 The district shares a border with the states of Punjab to the west, due to the hilly terrain, not very much of the land is cultivated. The region is covered with patches of barren land, as well as small forests. Dharamshala, the headquarters, is the headquarters of the Tibetan government-in-exile. Jwalamukhi, known as Jwala ji, is famous for its ancient temple of the goddess of the same name, other important temples include Brajeshwari Devi temple, Chamunda Devi temple, Chintpurni temple, Bhagsunag Temple in McLeodGanj and Baijnaths Shiva temple in Baijnath. There are important, major Muslim worship Place In kangra district Jama Masjid Dharamshala, Buddhist temples in Dharamshala, historical villages of Pragpur and Garli are located here. The topography of Kangra District is varied, with elevations ranging from 400m altitude at Milawan to 5500m at Bara Bhangal. Palampur and Dharamsala lie in a wet, temperate zone where the ranges from 15 to 19 °C and annual rainfall is about 2500mm. 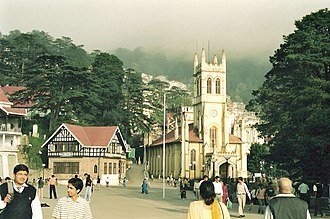 Shimla, known as Simla, is the capital and largest city of the northern Indian state of Himachal Pradesh. Shimla is a district which is bounded by Mandi and Kullu in the north, Kinnaur in the east, the state of Uttarakhand in the south-east, in 1864, Shimla was declared as the summer capital of British India, succeeding Murree, northeast of Rawalpindi. 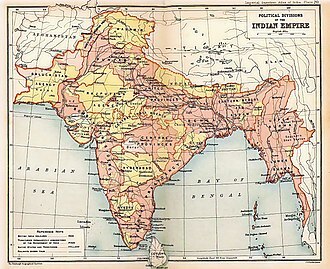 After independence, the city became the capital of Punjab and was named the capital of Himachal Pradesh. It is the commercial and educational centre of the hilly regions of the state. As of 2011, the city had 171,817 permanent residents, small hamlets were recorded prior to 1815 when the English forces took control of the area. The climatic conditions attracted the British to establish the city in the forests of Himalayas. 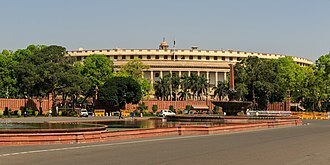 As the summer capital, Shimla hosted many important political meetings including the Simla Accord of 1914, after independence, the state of Himachal Pradesh came into being in 1948 as a result of integration of 28 princely states. Even after independence, the city remained an important political centre, after the reorganisation, the Mahasu district and its major portion were merged with Shimla. Its name is derived from the goddess Shyamala Devi, an incarnation of the Hindu goddess Kali, Shimla is home to a number of buildings that are styled in the Tudorbethan and neo-Gothic architectures dating from the colonial era, as well as multiple temples and churches. The colonial architecture and churches, the temples and the beauty of the city attract a large number of tourists. The major attractions include the Viceroy Lodge, the Christ Church, the Jakhoo Temple, the Mall Road and the Ridge, the Kalka–Shimla Railway line built by the British, a UNESCO World Heritage Site, is a major tourist attraction. Owing to its terrain, Shimla hosts the mountain biking race MTB Himalaya. Shimla has the largest natural ice skating rink in South Asia, apart from being a tourism centre, the city is an educational hub with a number of colleges and research institutions. Sirmaur is the most south-eastern district of Himachal Pradesh, India. It is largely mountainous and rural, with 90% of its living in villages. It includes the towns of Nahan, as well as the Shivalik Fossil Park at Suketi, there are six tehsils in this district, namely Nahan, Shillai, Rajgarh and Paonta Sahib. The Giri River divides the district into two almost equal parts and Giriwar, the major towns are Nahan, Paonta Sahib and Shillai. The people worship Hindu deities, and various customs and rituals are observed by the people, the local language is Himachali Pahari. 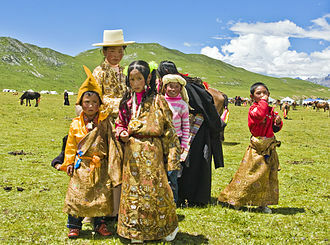 Bishu is a fair that is held at several places. Nati, Gee and Budhechu are the forms of folk dance of Sirmaur. Sirmaur was an independent kingdom in India, founded in about 1090 by Raja Rasaloo of Jaisalmer and it became an 11 Gun Salute princely state in British India, The premier ruler of the Punjab Hills, located in the region that is now the Sirmaur district of Himachal Pradesh. The state was known as Nahan, after its main city. 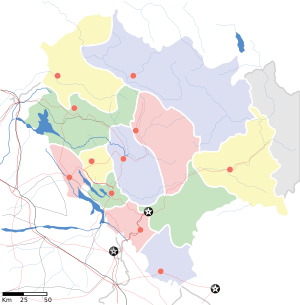 Haryana is one of the 29 states in India, situated in North India. It was carved out of the state of East Punjab on 1 November 1966 on a linguistic basis. It stands 21st in terms of its area, which is spread about 44,212 km2, as of 2011 census of India, the state is eighteenth largest by population with 25,353,081 inhabitants. The city of Chandigarh is its capital while the NCR city of Faridabad is the most populous city of the state, Haryana is one of the most economically developed regions in South Asia, and its agricultural and manufacturing industries have experienced sustained growth since the 1970s. Since 2000, the state has emerged as the largest recipient of investment per capita in India and it is bordered by Punjab and Himachal Pradesh to the north, and by Rajasthan to the west and south. The river Yamuna defines its border with Uttar Pradesh. Haryana surrounds the countrys capital Delhi on three sides, forming the northern and southern borders of Delhi, consequently, a large area of south Haryana is included in the National Capital Region for purposes of planning for development. The name Haryana is found in the works of the 12th-century AD Apabhramsha writer Vibudh Shridhar, the name Haryana has been derived from the Sanskrit words Hari and ayana, meaning the Abode of God. 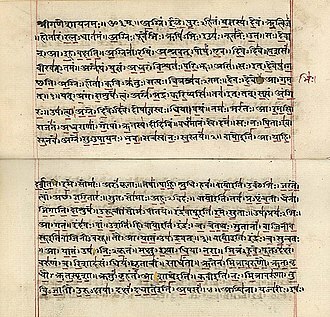 However, scholars such as Muni Lal, Murli Chand Sharma, HA Phadke and Sukhdev Singh Chib believe that the name comes from a compound of the words Hari and Aranya. 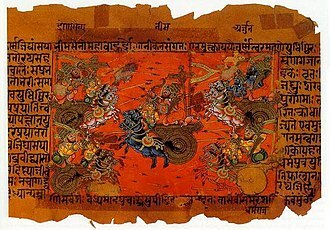 Vedic state of Brahmavarta is claimed to be located in a new research in south Haryana, manusmriti, a flood time document composed by Manu and Bhrigu is now dated 10,000 years old. Rakhigarhi village in the Hisar district is home to the largest and one of the oldest ancient Indus Valley Civilization sites, evidence of paved roads, a drainage system, a large-scale rainwater collection storage system, terracotta brick and statue production, and skilled metal working have been uncovered. According to archeologists, Rakhigarhi may be the origin of Harappan civilisation, the area that is now Haryana has been ruled by major empires of India. Dharamshala is the second winter capital of the Indian state of Himachal Pradesh and a municipal corporation in Kangra district. It serves as the district headquarters and it was formerly known as Bhagsu. The Dalai Lamas residence and the headquarters of Central Tibetan Administration are in Dharamshala, Dharamshala is 18 kilometers from Kangra. Dharamshala has been selected as one of the hundred Indian cities to be developed as a city under PM Narendra Modis flagship Smart Cities Mission. Dharamshala is a city in the reaches of the Kangra Valley and is surrounded by dense coniferous forest consisting mainly of stately Deodar cedar trees. The suburbs include McLeodGanj, Dharamkot, ForsythGanj, Kotwali Bazaar, Kaccheri Adda, Ramnagar, the village of McLeodGanj, lying in the upper reaches, is known worldwide for the presence of the Dalai Lama. On 29 April 1959, the 14th Dalai Lama established the Tibetan exile administration in the north Indian hill station of Mussoorie, in May 1960, the Central Tibetan Administration was moved to Dharamshala. Dharamshala is the centre of the Tibetan exile world in India, following the 1959 Tibetan uprising there was an influx of Tibetan refugees who followed the 14th Dalai Lama. His presence and the Tibetan population have made Dharamshala a popular destination for Indian and foreign tourists, One of the main attractions of Dharamshala is Triund hill. Jewel of Dharamshala, Triund is a one day trek at the upper reaches of McLeod Ganj, Dharamshala is a Hindi word that is a compound of dharma and shālā. A loose translation into English would be spiritual dwelling or, more loosely, rendering a precise literal translation into English is problematic due to the vast and conceptually rich semantic field of the word dharma and the cultural aspect of India. In common Hindi usage, the word refers to a shelter or rest house for spiritual pilgrims. Traditionally, such dharamshalas were constructed near pilgrimage destinations to give visitors a place to sleep for the night. When the first permanent settlement was created in the now called Dharamshala, there was one such pilgrims rest house on the site. Mount Kinner Kailash (6050 m) with a huge Monolithic pillar, which has religious significance. The Ridge, Shimla covered in snow as seen from 'Scandal Point'. 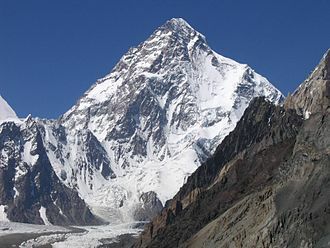 K2 Mountain, within the Western Himalayas.